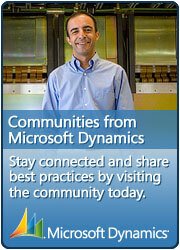 Update Rollup 11 for Microsoft Dynamics CRM 4.0 is available. Microsoft CRM 4.0 Rollup 11 is here (4th June 2010) and information about the Rollup is here. The MSCRM Team Blog elaborates on these updates. This entry was posted in Information, MS CRM and tagged MSCRM, Rollup 11 on June 7, 2010 by Rhett Clinton MVP.